For over ten years we have trained people to fulfil their ambition to become a RYA Instructor. We’re really proud of the start that we can give instructors as they start a hugely satisfying career. We have been running instructor courses at the school for over ten years and in our time have trained many hundreds to become RYA instructors. Whether you want to become a RYA Powerboat or a Personal Watercraft Instructor or you want to instruct within the motor cruising scheme as a RYA Cruising Instructor we have courses scheduled throughout the year. We also run courses to prepare people for their Powerboat Trainers assessment and Yachtmaster Instructor and Examiner courses on demand. 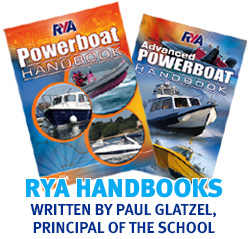 Become a RYA Powerboat Instructor to be able to teach Level 1, Level 2 and potentially the Safety Boat course as part of a RYA Training Centre. A great way to share your passion for boating with others. This is a mandatory requirement ahead of the Powerboat Instructors course. If possible undertake the assessment 4 – 6 weeks before the Instructor course but we always schedule assessments for the day before an Instructor course just in case you can’t make it sooner. An Advanced Instructor can teach the Advanced Powerboat and Intermediate Powerboat courses and run own boat training away from the centre’s base.